Chances are you’ll be running your heat well before the official astronomical date. Now is a good time to change those furnace filters to ensure your comfort and energy savings during the heating season. While most of us are aware of our furnaces presence, it is rarely thought of until it doesn’t work as expected. You can save on heating and cooling costs by doing a little maintenance now and ensuring your comfort during the coming season. Many programmable thermostats have a function similar to the maintenance reminder on your car which will remember the last time you changed your filter. If your thermostat has this function, don’t forget to reset it after you service your furnace filter. How often should I check my furnace filter? Your ‘mileage’ may vary depending on the actual operating time of your air handler, but consider checking it every month as a base to determine your scheduling needs. Where is my furnace filter located? The filter is usually located in the air return to the furnace which can be on either side of the furnace cabinet. In some cases you may need to remove the furnace cover (face) to access the filter, you will most often be able to do this without tools. What type of furnace filter should I purchase? 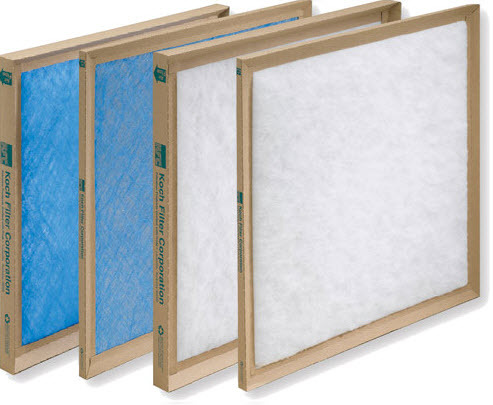 The need for clean air in the home has given rise to a wide variety of filter types, including electrostatic, washable and disposable filters. You needn’t ‘re-invent the wheel’ here, chances are the best filter for your installation is already present. Just replace with the same size and type. How much does a furnace filter cost? Furnace filters can range from $2 to $30 depending on the type of filter you select. The ‘big box’ stores and even many grocery stores carry furnace filters, make sure to buy the correct size. If you prefer the less expensive type of filter buying more than one now will save you future trips. Helpful Tip: Write down the size of your existing furnace filter in a convenient place before going to purchase a new one (many homeowners write the size directly on the visible portion of the furnace cabinet with permanent markers or on a piece of tape stuck to the cabinet – include the date of service if needed).